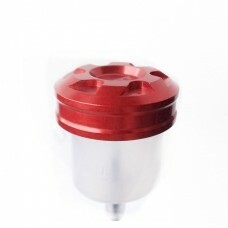 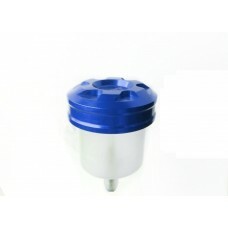 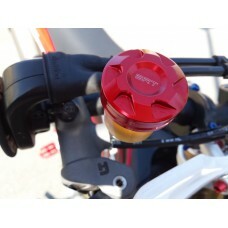 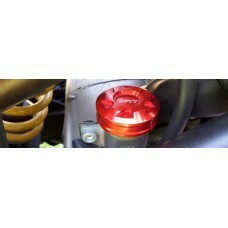 The SRT plastic brake oil tank with an ergal stopper is designed to give a racing touch and unique to your bike or to make a special or caferacer of razzza. The SRT brake fluid reservoir is made of transparent plastic to view the brake or clutch oil level with the addition of the carefully crafted ergal stopper, made from a 7075 ergal bar, completely from solid. 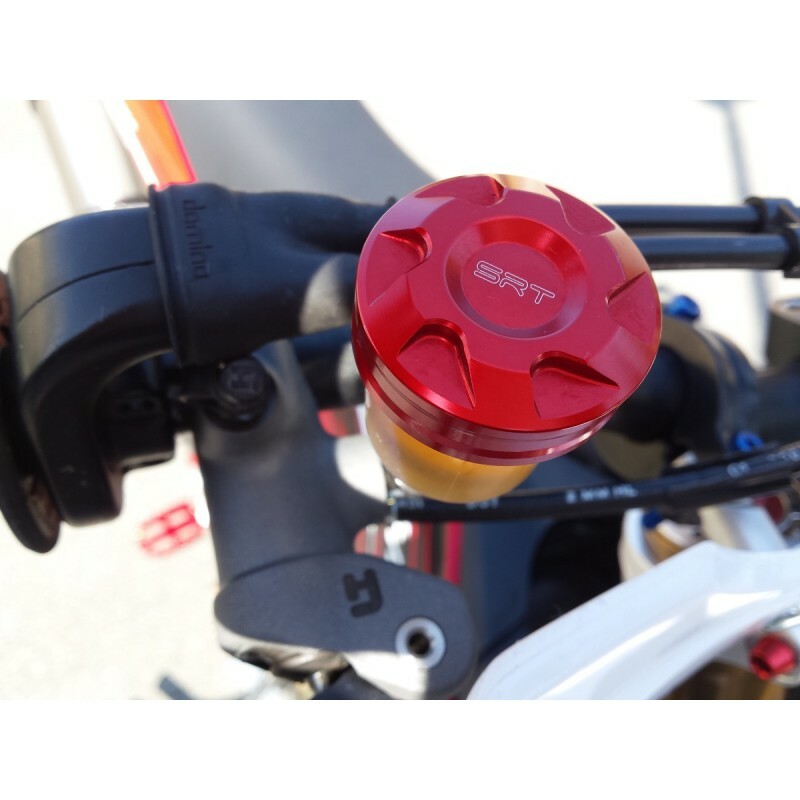 Add a touch of style to your bike! Our brake fluid tanks, like all our products, are not only beautiful to look at but also functional; all our brake oil reservoirs are equipped with a DOT4 and DOT 5.1 brake fluid seal, generally very corrosive. 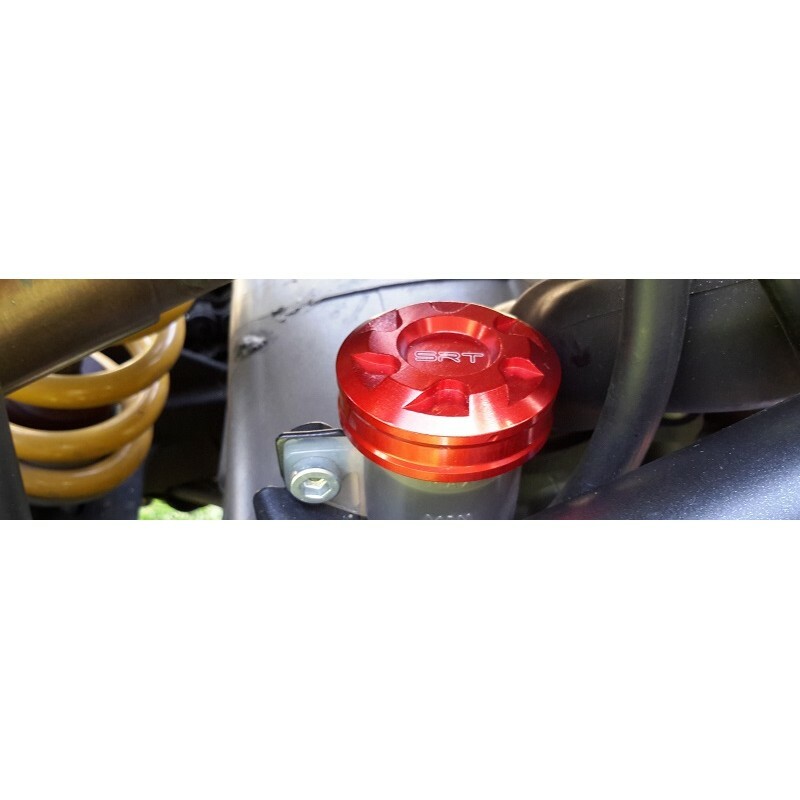 Our special bellows gasket lasts over time and does not allow any brake fluid to escape. 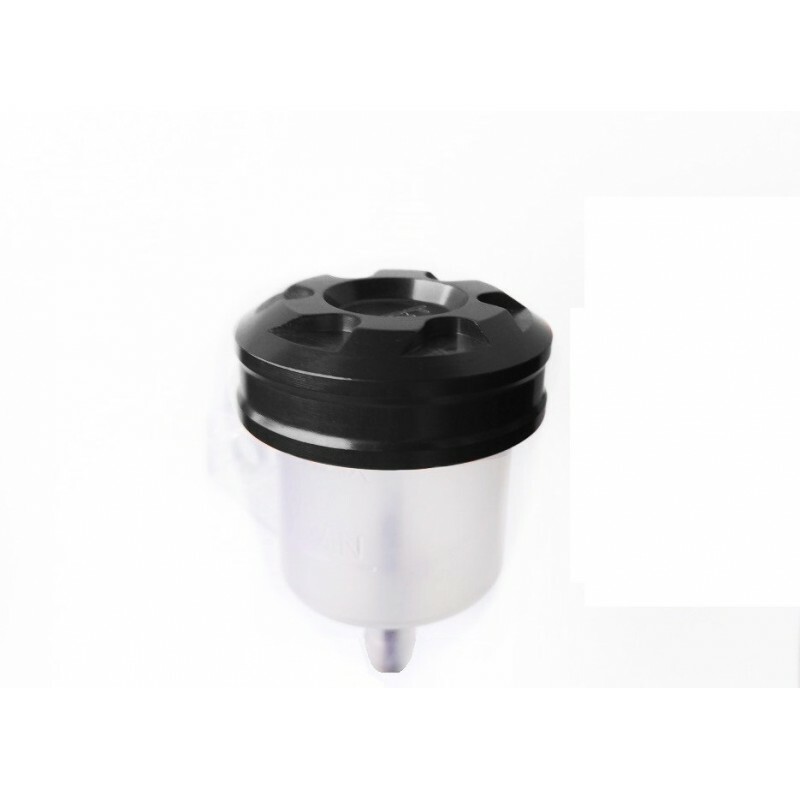 Moreover, it does not create a suction effect like the other cheap trays on the market, which could cause air bubbles or lack of flow of braking fluid to the system. 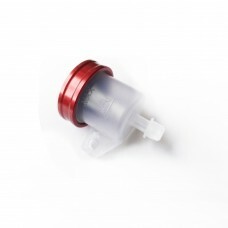 questo trattamento garantisce un impatto estetico sportivo ed elegante ma allo stesso tempo resiste alla corrosione del liquido freni. 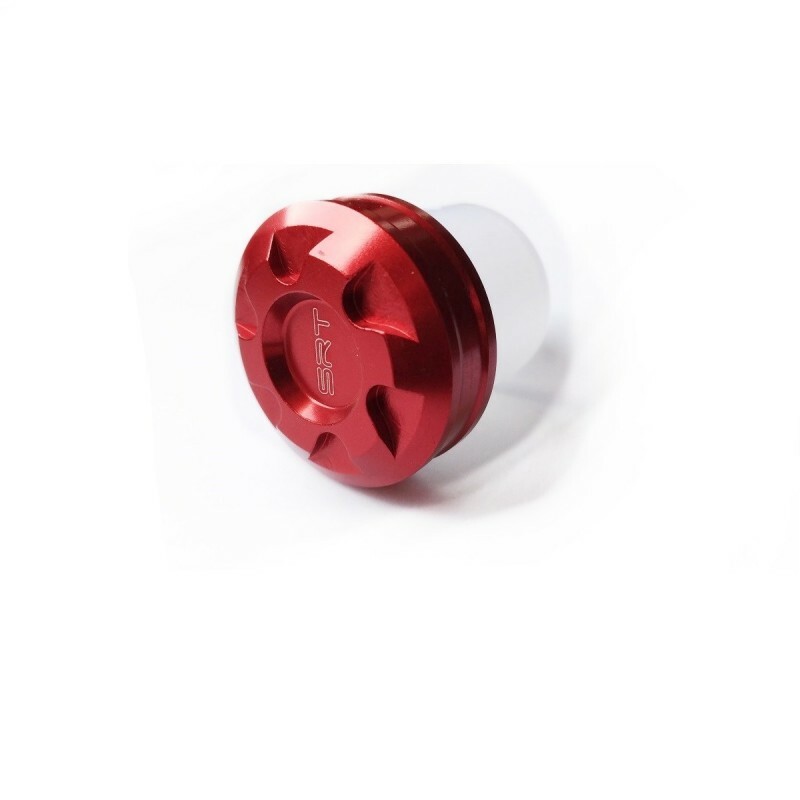 Il design e le lavorazioni, a cui poniamo massima attenzione, completano questo bellissimo accessorio. 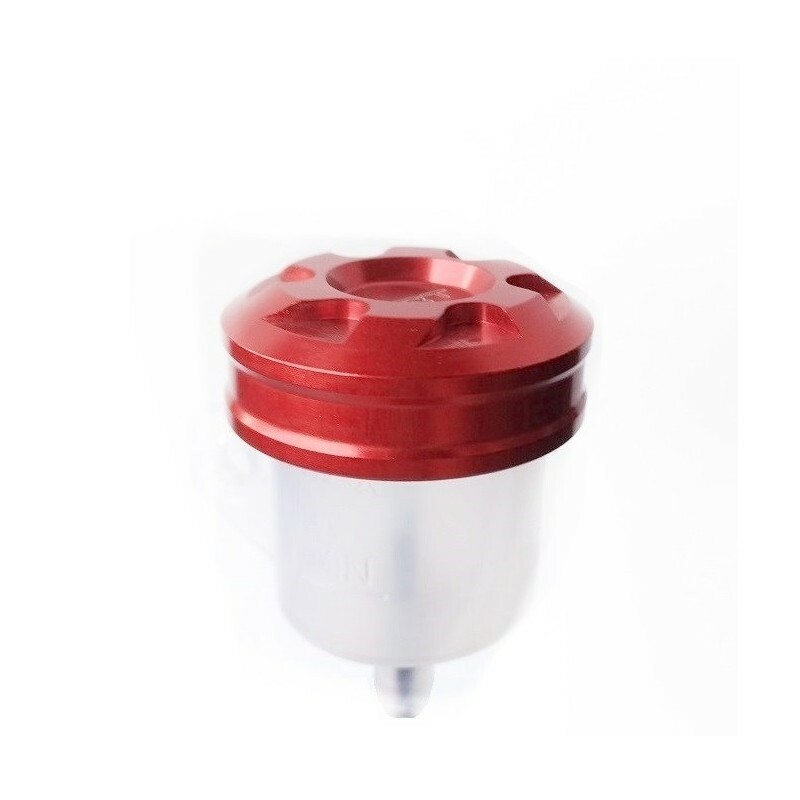 SRT manufactures trays universally applicable to all radial and axial pumps, we do not provide in this kit the connecting tube between the tank and the pump and the bracket for mounting on the pump.